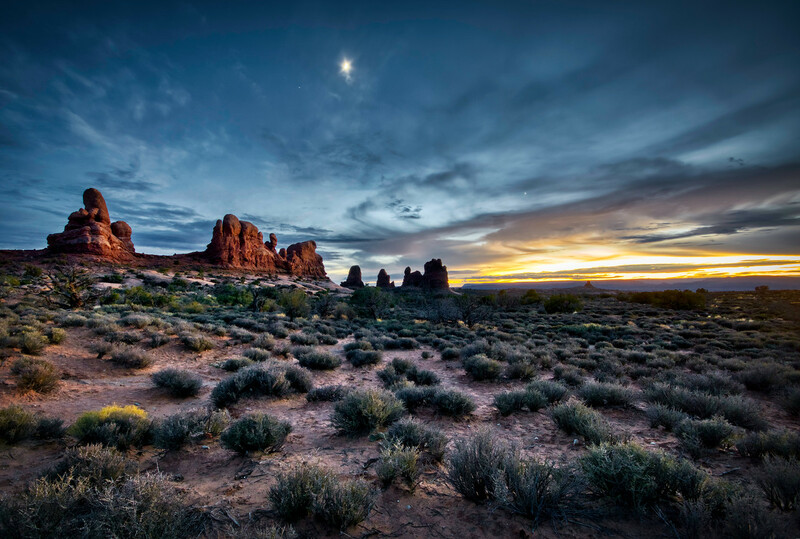 We spend a day in the arches national park in Utah – this image was taken just on the way home. It was already super dark and I didn’t actually see anything when taking the photo. Well, I saw the faint red line in the back that was the sunset, but no mountains or ground! The way you do it, I put the tripod down and just fired away. Just like the professionals do it!